What is Acupuncture & How Does it Help Fertility? Acupuncture is a medical system that has been used to diagnose, treat and prevent illness for over 3000 years. Acupuncture is performed by inserting fine needles into points along the body, stimulating the flow of the body’s vital energy known as Qi. These acupoints connect to the network of meridians that flow beneath the surface of the skin, where they flow into the major organs. When the flow of Qi is disrupted, the body’s systems become imbalanced. This is frequently experienced as illness or pain, and can appear in women as period irregularities, menstrual pain, and also infertility. The goal of acupuncture is to remove these disruptions and revitalize the flow of energy in the meridians. Acupuncture is proven to remedy acute or chronic ailments, relieve pain, enhance recuperative powers, and strengthen the immune system. It is also effective in soothing the mind and balancing the body’s hormones and chemicals, thus regulating the cycle and enhancing fertility. What Can I Expect During Acupuncture Fertility Treatment? During the initial consultation, the practitioner will take a comprehensive history of health and illness. This provides a diagram of the overall state of the body, not just a particular symptom. The practitioner asks questions, takes your pulse, examines your tongue, and sometimes palpates your abdomen. The initial visit can last up to 90 minutes, including your first treatment. Subsequent visits usually last about 40 minutes and are done on a weekly or bi-weekly basis depending on the patients need for treatment. The course of treatments can vary widely. Problems that have been around for a long time may take more treatments to resolve than ones that are acute. Your treatment course will be determined after the initial consultation and re-assessed after each visit. 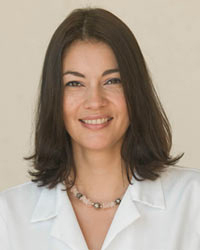 Call Dr. Andrea at 786-537-7022 to learn how acupuncture can work for you. Acupuncture and fertility treatments have NO side effects nor does it introduce any toxicity to you and your baby. It is a completely natural, safe, and effective way to facilitate conception and to promote a healthy pregnancy. You can schedule an appointment today by calling (786) 537-7022. We are located in Aventura Florida and just minutes from North Miami Beach, Golden Beach, Sunny Isles and Hallandale Beach.